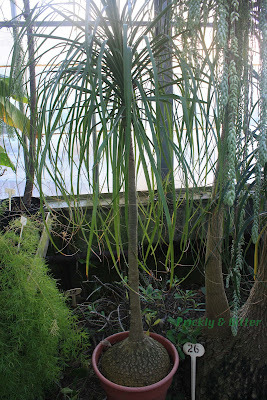 The ponytail palm is not a true palm, and its closest relative might surprise you. It is native to Mexico, but is used as an ornamental plant throughout much of the southern United States (it is cold-hardy to 6 degrees Celsius and is incredibly drought tolerant), South America, tropical southeast Asia, and Australia. This "tree", like true palms (one of which you can read all about HERE), is not actually a tree at all. It has no tissue called the vascular cambium, which is responsible for producing secondary xylem which is what we refer to colloquially as wood. If you don't produce true wood because you don't have secondary xylem, you can't be a tree! There are many monocots that masquerade themselves around town as being woody; bamboo, lucky bamboo (a completely different group of plants), palms, tree ferns and bananas all lack the ability to produce true wood (you can read all about bananas HERE). This doesn't mean that we can't use them as building material! All of these species produce a tissue type called sclerenchyma in great volumes which contributes to their stem stability (except banana; they produce collenchyma which is a tissue very similar to sclerenchyma. They also don't have a true above-ground stem!). The ponytail palm, as mentioned, isn't a palm at all. It's actually a close relative of the asparagus family, and if I had of caught this plant while it was flowering it would have been much more obvious. The flowers produced by this species are almost identical to the flowers you would see if you let the asparagus in your garden go to seed. It's amazing the kinds of morphological variation you can get within a family! The swollen base of the stem of this plant is designed for prolonged periods of drought. It almost acts as a water canteen, which can allow the plant to go for months without a significant source of water. 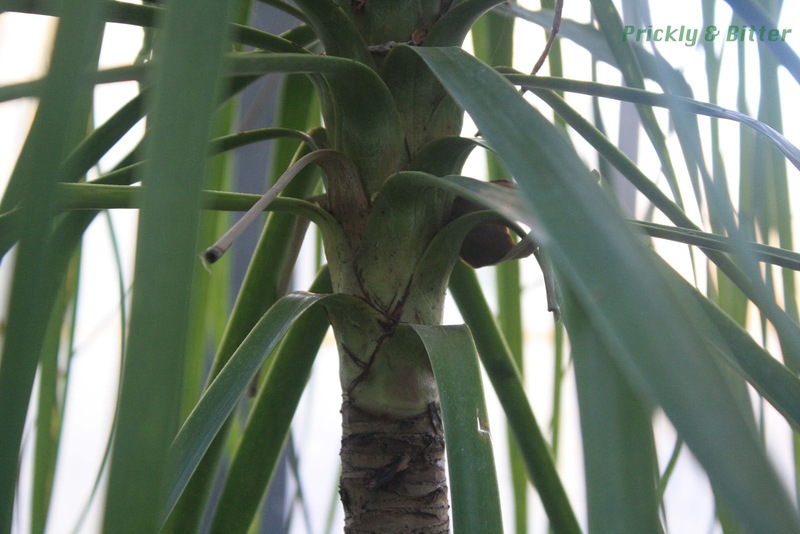 If the plant went long enough, the base of the stem would start to shrink as the tissue and the water it contains starts to be reabsorbed by the plant. 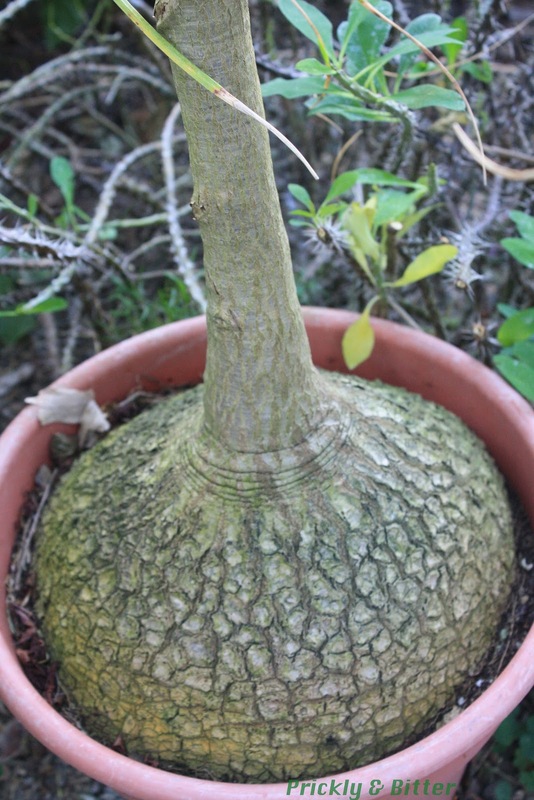 During the next major rainfall, the plant would reabsorb its water again and regrow the swollen stem base.